We decided to ring in the New Year with fondue! 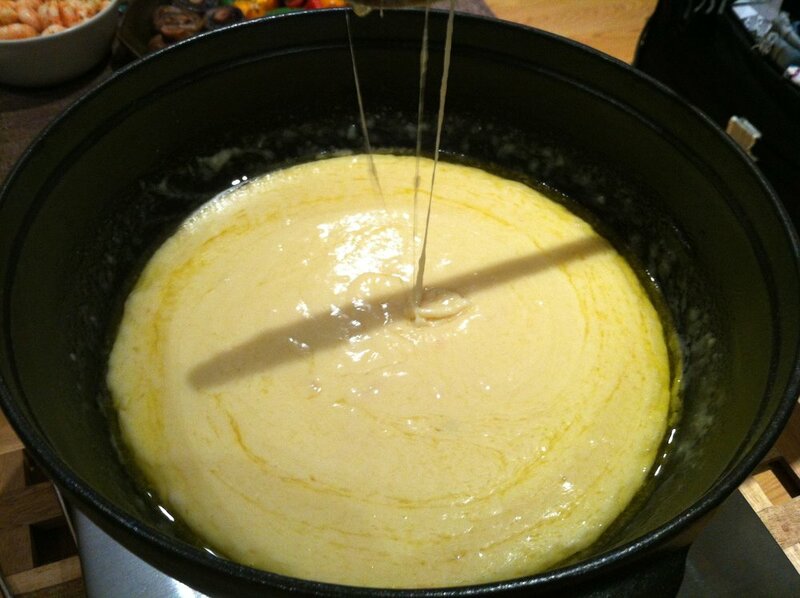 Now I adore a cheese fondue, but haven’t attempted one at home before. So when some Amazon vouchers came my way a couple of months ago, guess what I went and spent them on? That’s right. A lovely set. Finally. There’s a lot you can do with a fondue set, beyond cheese. Hot oil, broth, dipping sauces, chocolate...and there’s a lot you can dip in too! Bread, vegetables, potatoes, fish, meat for a savoury fondue; marshmallows, fudge, fruit, cookies, pretzels for a chocolatey version. My mouth’s watering just thinking of the possibilities! Turn heat to low, just enough to keep your cheese warm, spear your dippers, dip, enjoy!